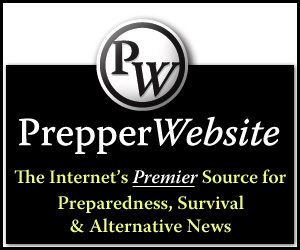 Preppers need tools, lots and lots of tools – of the manual variety. It would be unwise to expect to use power tools during a long-term disaster, even if the inciting incident had nothing to do with an EMP or cyber attack on our electrical grid. Sooner or later, your fuel stockpiles and spare chainsaw blades will run out. 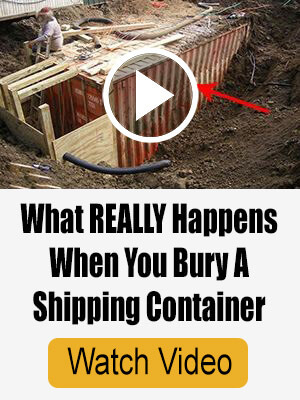 When they do, you must not only have a healthy stockpile of hand-powered tools, you must know how to use them. As with all things related to prepping, cross-training of skills is necessary when it comes to tool use, even the seemingly simple kitchen tools our pioneering ancestors once used. If the only person who knows how to cut wood with a manual saw becomes incapacitated or killed, the family could die of exposure. Unless you have very deep pockets, you probably can’t run out and buy all the manual tools you need all at once. 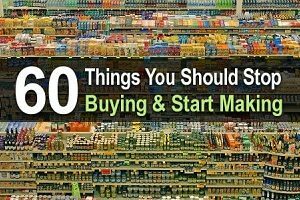 But printing off a list of essential manual tools and adding the cost to your prepping budget should allow you to accumulate them over time…hopefully before the SHTF. 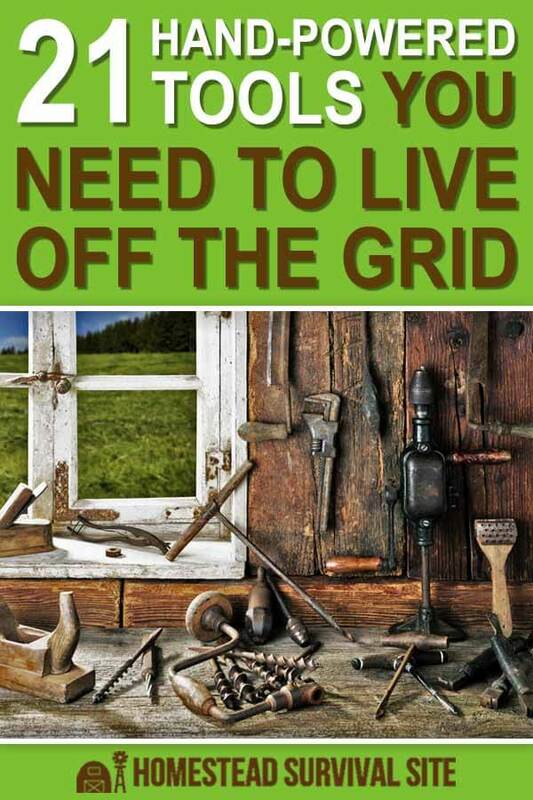 Rural preppers work outdoors and repair both broken items and issues around their property on a regular basis. Self-reliant rural residents also have far more space to stockpiles of tools that urban and suburban preppers. But a lack of experience and storage space should not deter non-rural preppers from acquiring tools that will help them survive a doomsday scenario. Tools they may not have any use for right now could become essential to everyday life, second only to water and shelter when the SHTF. 1. Shovel – Shovels come in many shapes and sizes. At the very minimum, you should have two folding shovels designed to fit into a backpack – even if you are pressed for storage space. Shovels can be used to dig trenches to catch water and to contain a fire, to dig a latrine, to plant crops, to remove mud and snow, and as a weapon. 2. Multi-Tool – No prepper should be without a multi-tool. There should be one in every survival pack, in the car, and inside the home as well. These small, lightweight tools contain scissors, a knife with a serrated edge, both a flathead and a Phillips screwdriver, awl, wire cutter, pliers, a can opener, and more. 3. Pry Bar – This sturdy tool does not take up much space and can be worth its weight in gold. A pry bar (or crowbar) will open doors, can be used for leverage to lift heavy items, to break locks, to pry apart objects, and as a weapon. 4. Claw Hammer – There are a plethora of different types of hammers you should have in your prepper stockpiles, but the claw hammer is likely the most versatile. It can be used for pounding nails, cracking ice, chopping roots and small trees, prying wood or metal apart, breaking many different types of items open, and of course, as a weapon. 5. Grinding Wheel – This traditional blade-sharpening tool will help keep all of your knives and many of your manual tools, like the machete and hatchet, in proper working order. 6. Spade – This is perhaps the most useful manual gardening tool you will ever own. 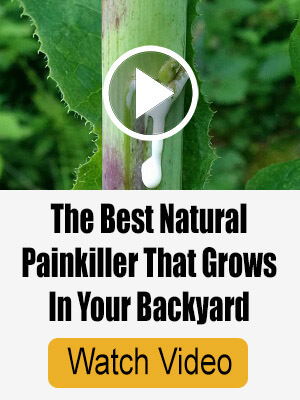 It can be used to turn soil, make holes for seeds or plants, chop weeds, and as with most outdoor manual tools, double as a weapon. 7. Scythe – This antique style gardening tool will not only cut down dense weeds, it can help you clear space for a growing plot and turn the soil over after the harvest to prepare it for the next year. 8. Hatchet – This tool has not changed in design or material construction since its inception. Hatchets are still available with solid wood handles but also come with sturdier metal handles. They can be used to butcher meat, cut bone, chop wood, chop down small trees, break ice, break glass, or chop through a wood door, just to name a handful of uses. When the blade is properly tended to, a hatchet makes an excellent weapon as well. 9. Hand Drill – It will take a lot more elbow grease to complete a task with a hand drill as opposed to a power drill, but the job will still get done. Look for a complete hand drill set to ensure you have a variety of bits that fit the manual tool. 10. Hand Saw – This will replace the chainsaw for cutting wood once the fuel supply is no longer finite. It is highly advisable to invest in both a single person crosscut saw as well as a two-person crosscut saw so you can cut down large trees. 11. Hack Saw – This saw can be used to cut wood boards, metal pipes, metal chains, plastic pipes, and similar materials. 12. Machete – This manual tool can definitely be used as a weapon, but it can also be used to kill wild game, butcher meat, force hard nuts open, cut poles out of small trees to build a shelter, cut brush and weeds, and to shave wood to make tinder. 13. Auger – Using an auger or a post hole digger (get one of those as well) is a lot of back-breaking work if you are setting wood posts to create a fence line, but when modern farm implements are no longer functioning due to a lack of fuel, you will be grateful for each and every blister that you get creating a barrier around your barn, garden, or home, with a manual auger. 14. Manual Can Opener – All the commercially canned food must be opened before it can be consumed. Doing so with a knife is feasible, but it is not the safest method and it will dull your knife. 15. Hand Crank Grain Mill – With this pioneer era kitchen manual tool you can grind wheat, corn, and acorn into flour to make bread. 16. Tea Kettle – You can heat water for cooking, making tea and coffee, purifying water. I recommend a cast iron tea kettle on a wood stove or over an open flame. 17. Hand Utensils – These are inexpensive kitchen hand tools that you will need when cooking from scratch or putting up food from the harvest. Examples include: potato masher, butter churn, rolling pin, cheese grater, whisk, potato peeler, whisk, ladles, meat tenderizing hammer, measuring cups, measuring spoons. 18. Percolator – You can still make your morning cup of coffee or medicinal tea by putting a percolator directly on a wood cook stove, wood burner, or on a metal grate over a campfire. 19. Water Bath and Pressure Canning Equipment – During an SHTF event, you need to not only grow and hunt or your own food but preserve it as well. Stock up on canning pots and related items like Mason jars, rings, and lids so food can be put up for the winter and beyond both now and during a doomsday disaster scenario. 20. Solar Oven – Solar Dehydrator – Use the sun to cook or dry your herbs, foraged greens and natural medicine ingredients, garden harvest, and even meat and fish. 21. Wood Cook Stove – This will be the most expensive and largest manual kitchen tool you can buy, but it will be worth every penny when you are struggling to keep warm and cook food during a long-term disaster. Many Amish folks in my area use wood cook stoves on a daily basis right now for just those purposes. They work wonderfully (even for water bath and pressure canning) and can heat an entire house floor. 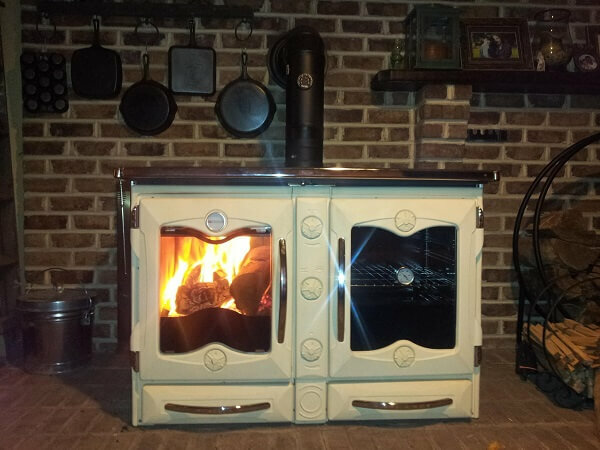 A wood cook stove is a wood burner and a stove combined in one. This versatile off-grid kitchen tool functions just like a regular stove and oven, but it heats with wood logs instead of electricity or gas. It will take some time to learn how to regulate the heat if you are not used to living with a wood burner or fireplace in your home, but the concept is not difficult to master. This is not an exhaustive list of outdoor manual tools and indoor kitchen manual tools, but it does showcase the most important items that can vastly increase your chances of surviving a long-term disaster…and make living through a short-term one a lot easier and more comfortable.